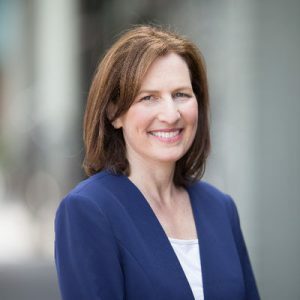 Rep. Kim Schrier is a pediatrician from Issaquah, Washington, and she flipped her district from Red to Blue in 2018. In Congress she is an advocate for families in Washington’s 8th Congressional District, working for more extensive access to great, affordable health care, clean air and water, and excellent public education. Dr. Kim’s values are strongly guided by her Jewish identity and helped lead her to a career in healthcare, and to ultimately run for Congress. The daughter of an elementary school teacher and an aerospace engineer, Rep. Schrier graduated from public schools and holds degrees in astrophysics and medicine. She is committed to improving public education and building a stronger middle-class economy, as well as protecting Social Security and Medicare. As the only woman doctor in Congress, Kim was endorsed by President Obama and now serves on the House Education and Labor Committee and the House Agriculture Committee.